Exide Life My Money Back Plan is a traditional money back insurance policy by Exide Life Insurance Co. Ltd. Being a money-back plan, it pays a percentage of the sum assured at regular intervals throughout the policy and on maturity, pays the sum of bonuses. Being a participating plan, investment returns are pegged to the participating fund’s returns. The policy offers three policy terms that come with the fixed premium payment term (PPT). The minimum policy term is 16 years that comes with a PPT of 12 years, and the maximum policy term is 24 years that comes with a PPT of 20 years. So you pick a policy term and the sum assured and depending on factors such as your age, the policy will calculate the premium. Being a participating product, every year the policy will declare a bonus depending on the performance of the participating fund. This is a percentage of the sum assured and once declared, is guaranteed to be payable on death or on maturity. In terms of the investment benefit, the policy pays back the sum assured in equal instalments at specified intervals. For instance, if you choose a policy term of 24 years, you will get the sum assured in four equal instalment of 25% after every sixth year. “The bonus is paid as a percentage of the original sum assured only and not from the reduced sum assured after every instalment,” said Mr. Sanjay Tiwari, executive vice-president, product management, Exide Life Insurance Co. Ltd. The second money back option pays the sum assured in increasing instalments. So for a policy term of 24 years, you get 10% of the sum assured in the sixth year, 20% in the 12th year, 30% in the 18th year and 40% in the 24th year. Since this is incremental, the insurer offers a higher sum assured for the same premium. On maturity under both the options, you will get all the accrued bonuses along with the last moneyback instalment and the policy terminates. In terms of insurance, if the policyholder dies during the policy term, the policy will pay higher of the sum assured or 10 times the annual premium (seven times if the policyholder was 45 years old or more at the time of buying the policy) or / 105% of the premiums paid till date. It will also pay all accrued bonuses and then terminate. “But if death occurs due to an accident, we will double the death benefit. This death benefit includes the sum assured as well as the bonuses accrued. However, the accidental death benefit per life is capped at Rs1 crore,” said Tiwari. Say, a 35-year-old buys this policy for a premium of Rs. 50,000 and policy term of 20 years with a PPT of 16 years. The sum assured under the level money back option will be about Rs. 5.86 lakh and under the increasing money back option, it will be about Rs. 6.52 lakh. In the former, the policyholder will get about Rs. 1.46 lakh in four instalments and assuming optimistically that the participating funds returns 8%, the sum of bonuses on maturity will be Rs. 5.27 lakh. This is a net return of 4.04%. In terms of cost comparison of the net yield with other traditional plans, the costs in this plan are one of the highest as the net return is only 4% when the gross rate is 8%. 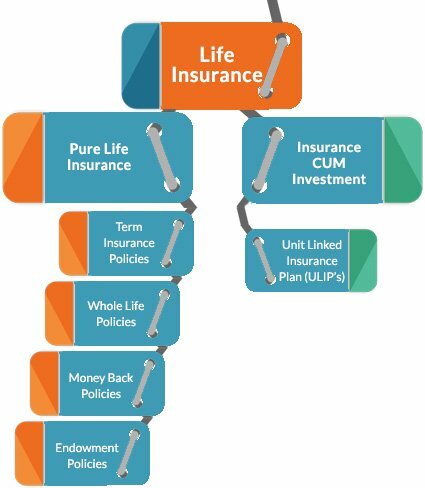 What we like about this policy is that it doubles the entire death benefit in case of death due to an accident; however, it is still no match for a term plan for your insurance needs. Even in terms of investments, you can give it a miss, says Mr. Melvin Joseph, a certified financial planner and founder, FinVin Financial Planners. “I will not recommend such an insurance policy. It neither offers a high amount to the nominee in case of unfortunate death of the policyholder nor a decent return on the premium paid. For such a long term, the investor can purchase an online term policy and invest the remainder in a mix of equity and debt funds. This would be more flexible, and generate higher returns,” he added.